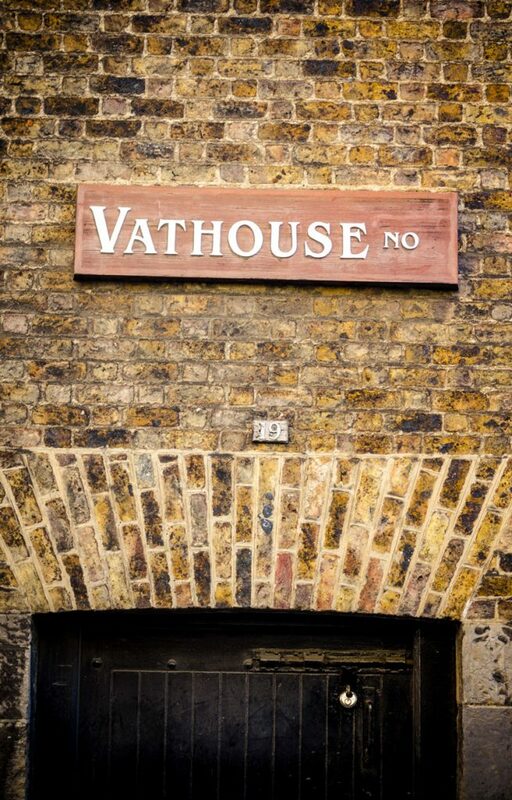 Guinness Brewery and Storehouse, Dublin - WattWhereHow? Guinness, the dark, syrupy, yet creamy stout beer that is synonymous with Ireland is made in Dublin. As beer drinkers (but not huge Guinness fans), we felt it was important to pay homage to this iconic drop in its actual birthplace. 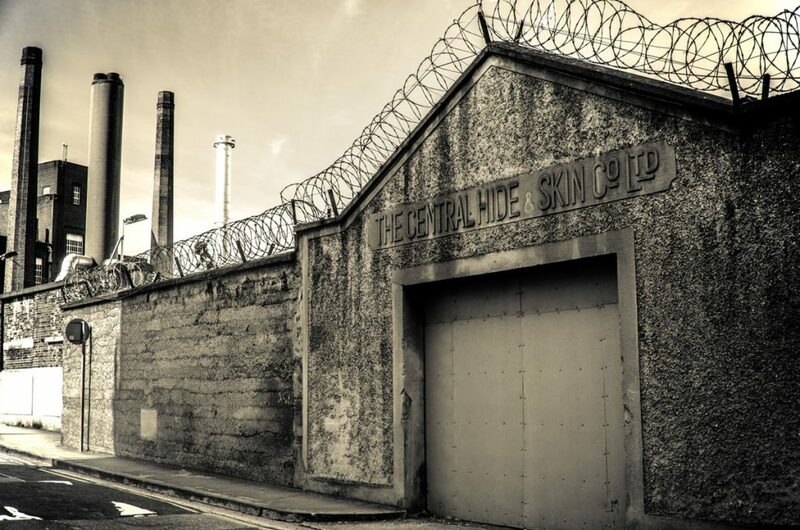 On the outskirts of town, two large steel gates secure the entry to the busiest tourist attraction in the Republic of Ireland—the Guinness Brewery. The brewery is located atop a hill in a fairly run down industrial neighborhood. The houses are quaint, but decrepit and smoke stacks tower above the streets. 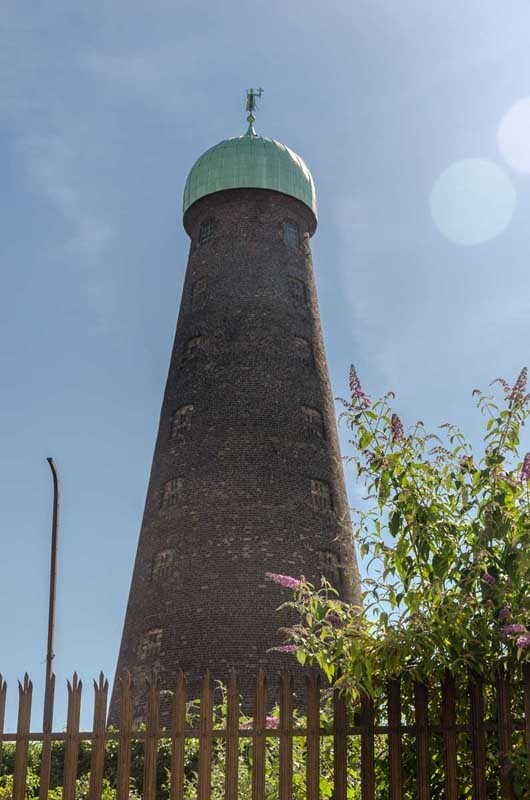 The iconic St Patrick’s Tower with its dark brickwork and ornate roof still stands proudly and has since 1805, when it was built for grinding corn at Roe’s Distillery. The site is now owned by a digital company, The Digital Hub. But we’re here for the beers. 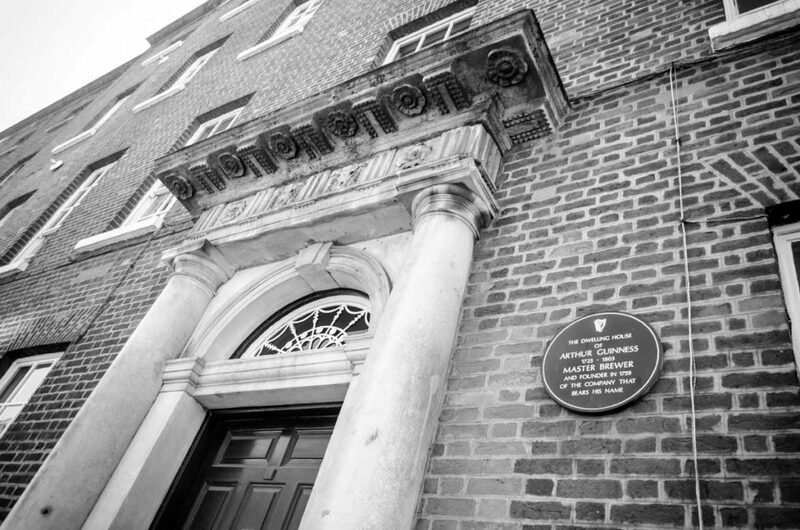 The Guinness Brewery site sprawls over many blocks at St, James’ Gate. Modern silos and tanks rise above dark stone and brick. Networks of pipe weave over the heads of horses and buggies, ready to ferry tourists around the site. The Diageo global head office is part of the complex, its modern frontage a stark contrast to the apartment of Guinness founder and Master Brewer, Arthur Guinness. The heavily industrial nature of the area and the old cobbled streets makes it look like something out of Willy Wonka. 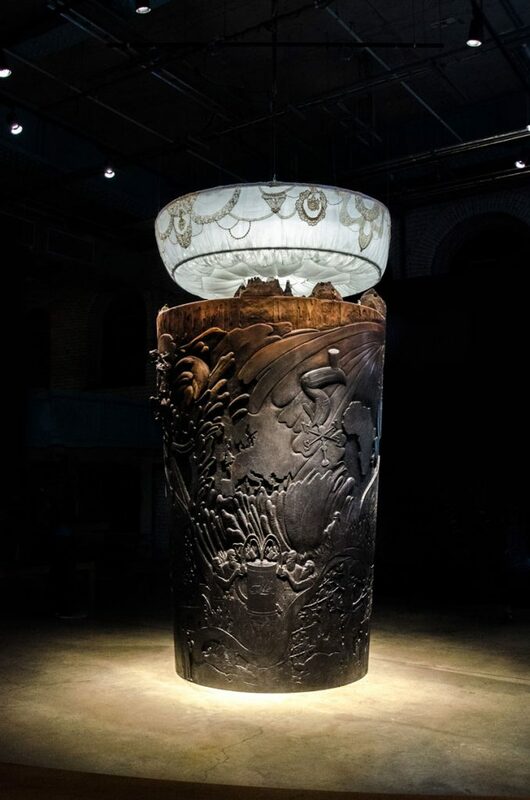 The Guinness Storehouse is an old, converted, remodeled and renovated warehouse at St. James’ Gate. Built in 1908 as a fermentation plant, it was in operation until 1988 when it was closed for renovation. Reopening as a visitor center in 2000, the seven story glass building take the visitor through level upon level of interactive exhibits, knowledge tests and Irish trivia. 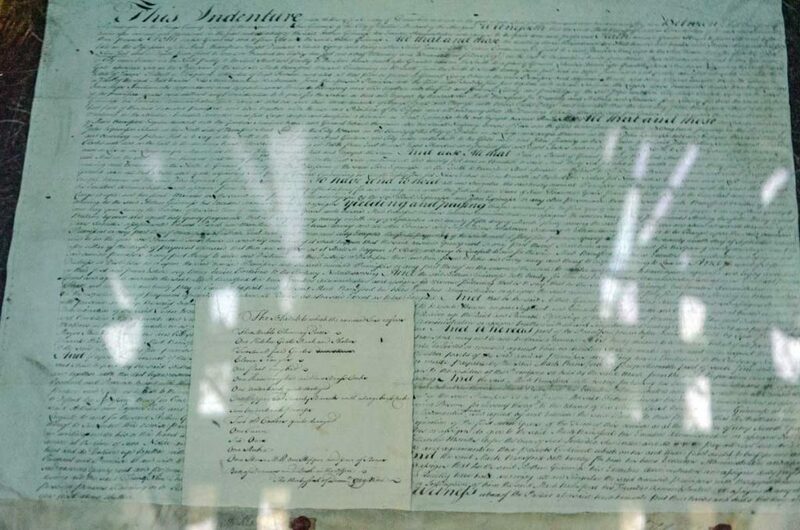 On the entry level, encased under thick glass is Arthur Guinness’s original charter. From there, the self-guided tour (an audio tour is available for a small price) takes you through the company history (including a safe with the original batch of yeast still used as the plant), the brewing process (which seems fairly generic in our experience as brewery tour veterans). The higher you go, the more impressive the exhibit becomes, including a museum of the company’s iconic ads and the original Irish harp that features on the logo. We have taken this tour 3 times between us, and each time more and more sections were added and completed. The top floor is where you can find the bounty and, for a little extra, you can pay to pour your own liquid gold (brown doesn’t sound as great). For the non-drinker, there is a sweeping almost 360 degree view of Dublin and its impressive rooftops. And for the drinker, you can enjoy the view with a brew. After a cold one, you can head back down to reality via the great glass elevator full of wonka-ish excitement, and exit through the gift shop. With a couple of drinks under the belt and your credit card in hand, you begin to consider items that you never thought you needed, until right at that moment. A bar mat? Sure! Knickers with a toucan on them. Hell yeah! And while it’s not enough to convince us to switch loyalty to Guinness as a regular choice of beverage, one thing is for sure – it does taste better in Ireland. 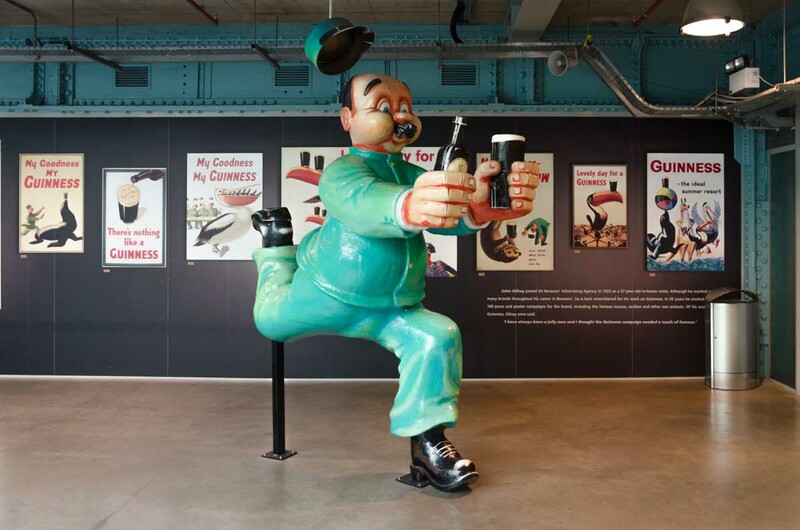 The Guinness Storehouse is the experience center for Guinness Beer. The Guinness Storehouse is open most of the year.